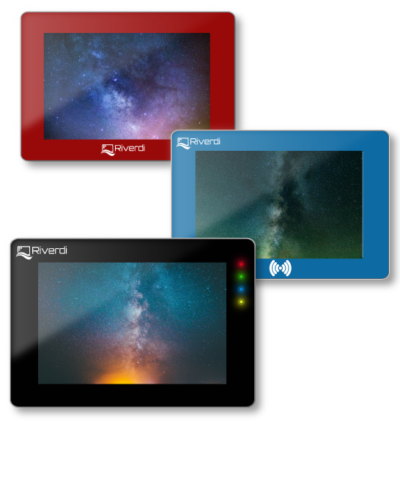 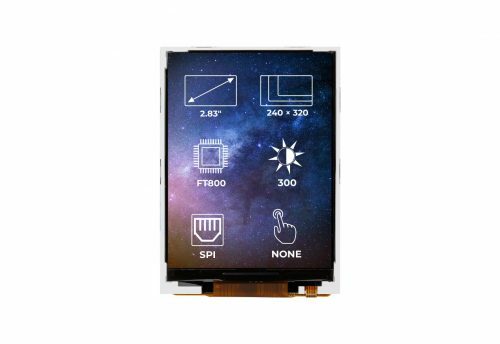 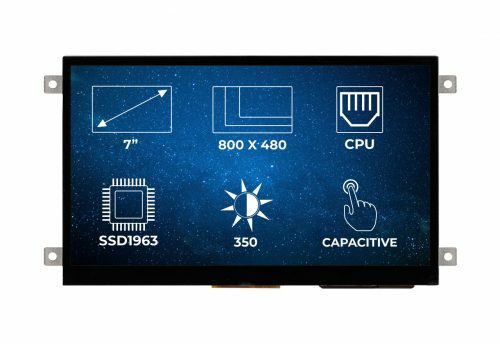 A Riverdi 3.5″ TFT display with a metal mounting frame that allows easy integration. 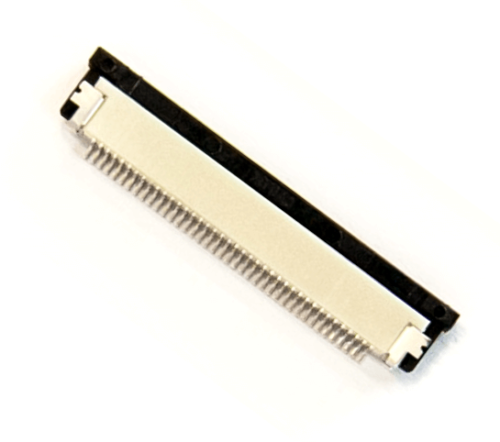 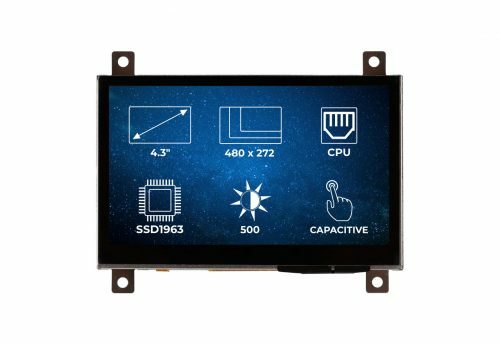 What makes the RVT3.5A320240CFWN36 a great display? 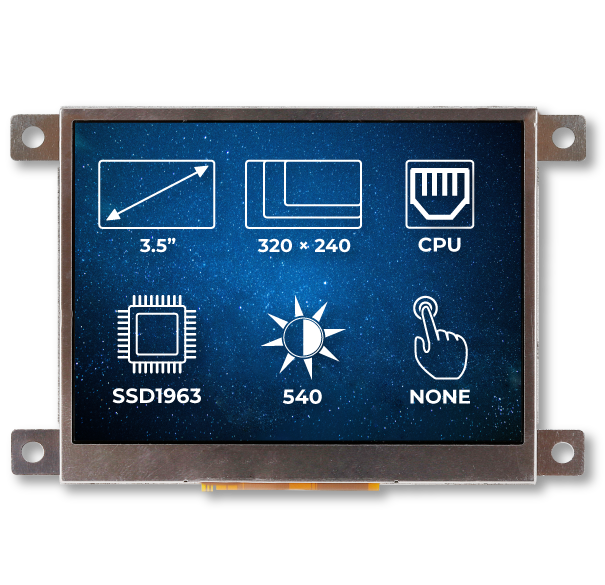 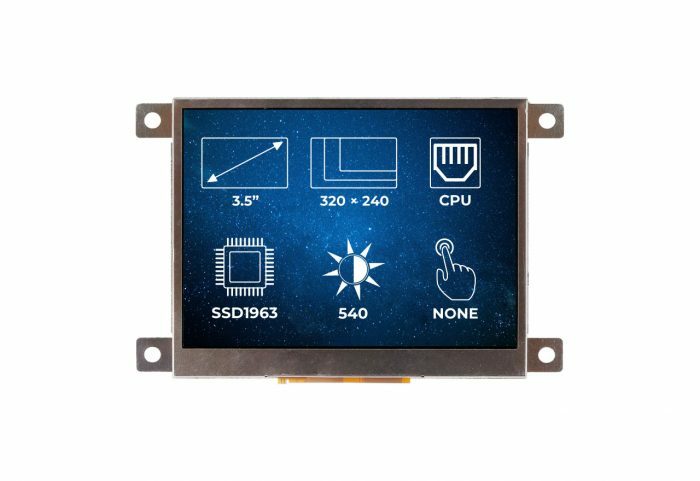 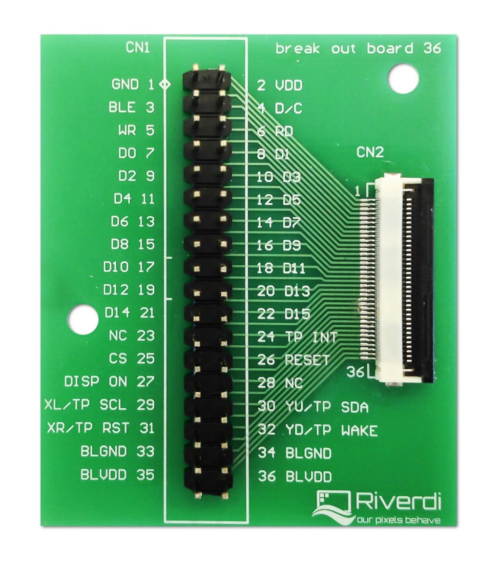 The RVT3.5A320240CFWN36 is a high-quality Riverdi 3.5’’ TFT display module driven by the SS1963 graphics controller. 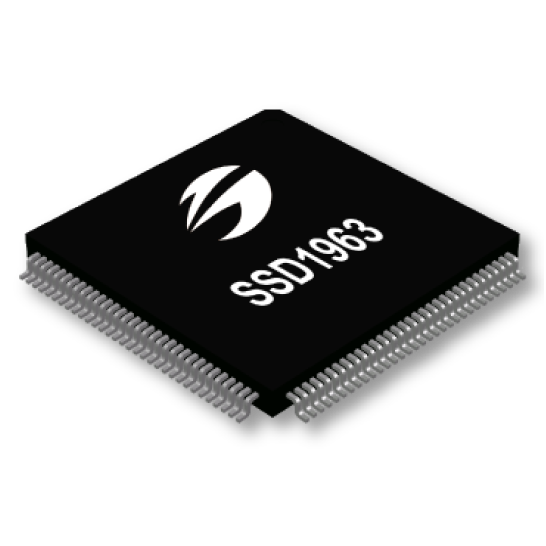 It offers standard features like programmable brightness, contrast and saturation control, as well as dynamic Backlight Control (DBC) over the PWM signal. 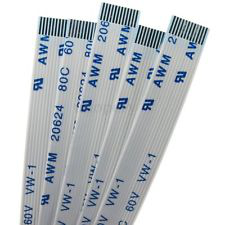 The RVT3.5A320240CFWN36 has a built-in LED inverter. 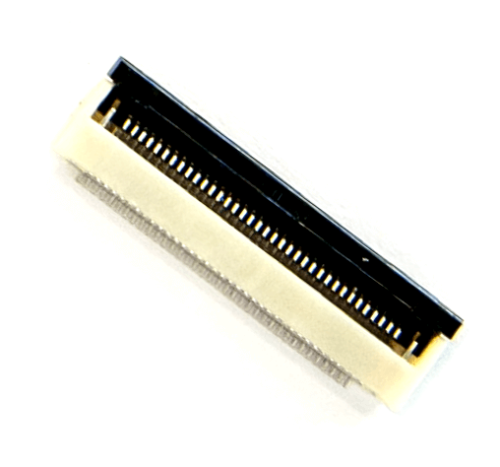 For more information about the RVT3.5A320240CFWN36 see the documentation section.